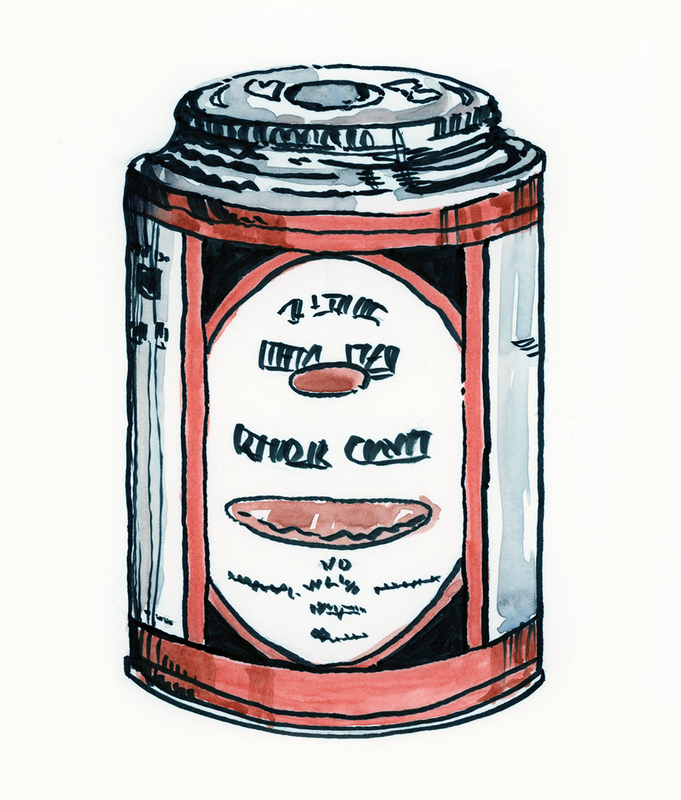 This is a sketch of my new can of rubber cement from Gwartzman's Art Supplies. Gwartzman’s is the kind of old school art supply store that you picture in movies — old, long, narrow and crammed full of all kinds of creative supplies from floor to cieling. blogTO has a great entry on Gwartzman’s that will give you a good idea for the feel of the place. The sketch is a bit shakey and messy but you get the overall impression of a can of something or other. I was inspired by Lucy Knisley‘s brush and ink style as seen in her book “French Milk,” an illustrated travel journal of her month long stay in Paris for her birthday with her mother. I think with more practice I just may improve!